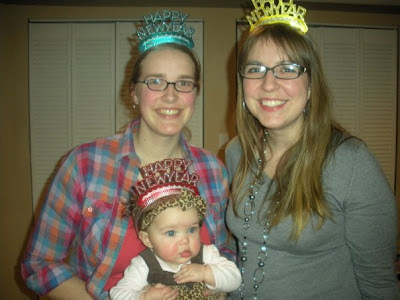 We welcomed in 2010 with family and friends last night. It was a wonderful low key evening at our friends Katie & Dan’s house. And as Memere and Pepere D, Daddy D’s parents, rolled into town late yesterday afternoon we were blessed with an evening out sans kiddos! It is a rare event, and to be able to spend the night having conversations and not trying to keep track of all four of our little men made for a relaxing evening. Lucky for us it was not in our rear view mirror, but through the view of our front windshield. But in fact the cruiser was smack dab in front of our driveway. After calling the dispatcher (see the number conveniently written on the trunk there? ), the police officer moved for a few moments for us to get in. We live right in town on a major roadway here, and there was a disabled vehicle in the two way street with no shoulder. After another half hour a tow truck came and all was right with the world, at least here on our street!